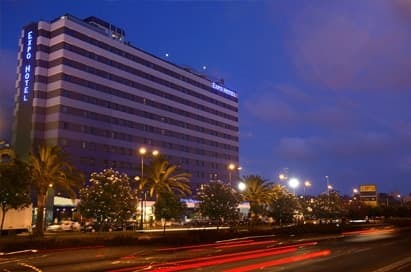 Spain's third largest city Valencia is content to let Madrid and Barcelona grab the headlines while it gets on with being a thriving and very liveable city. Combining sandy beaches, rich history, breath taking architecture and incredible cuisine Valencia is bursting with Mediterranean exuberance and is a perfect destination for a Spanish language school trip. Spend the day at the sculptural buildings of the City of Arts and Sciences visiting the science museum, IMAX cinema, planetarium, opera house and aquarium. Of more historical interest are the Cathedral which has reputedly been home of the mythical Holy Grail for the past 500 years. The city’s silk exchange, covered Mercado Central and Bullring are other major attractions as is the local dish Paella. 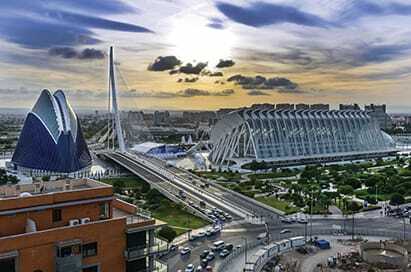 Valencia has the sites, sounds and smells to enthrall your students and bring the Spanish language and culture to life. Now one of the city’s most emblematic new symbols, students can discover here the world of science, nature and art. The eyeball-shaped Hemisferic houses a planetarium, laserium and IMAX theatre, and uses hydraulic lifts to make the building’s eyelids open and close. The centre makes excellent use of interactive games, experiments, theatre, workshops and guided tours to enhance the visit experience. Constructed in 1928, Valencia’s central market is one of the most beautiful in all of Spain; a vast Modernista concoction of wrought iron and stained glass, surmounted with cupolas and whimsical weathervanes. The region of Valenciana is not known as Spain’s orchard for nothing and inside you’ll find a breathtaking array of colourful, fresh produce with almost 1,000 stalls to choose from. A unique visit to a Valencia CF Football Stadium (Mestalla) full of history and emotions. Visit the most relevant places, including the changing rooms and the pitch. Take a seat on the benches where the best players in the history of football have been. Take a look at the private and presidential boxes, visit the press room where the players are interviewed. 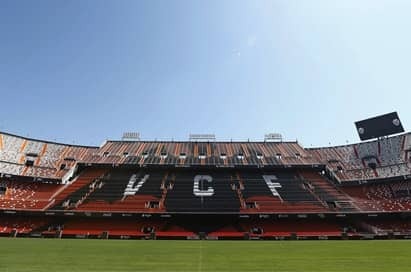 Enjoy this Valencia football stadium tour. Valencia’s huge annual fiesta is one of the best-known in Spain. Each neighbourhood competes to create the best Fallas- papier-mache figurines- which are then paraded around the town before being burnt. 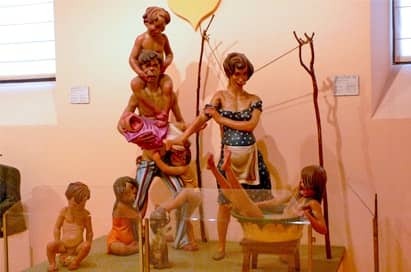 This museum preserves some of the papier mache figurines that are saved from the yearly street festival. The museum also displays photographs , posters and articles showing the history of the festivities. The Gothic-style Cathedral tower is a symbol of the city. It rises to a height of 50.85 metres, which is also the size of its perimeter. This eight-sided tower owes its name to one of its twelve bells, specifically the bell that marks the hours. The climb up the 207 steps rewards with splendid views over the ancient city. There are excellent opportunities to improve your students’ language skills during your trip to Valencia. 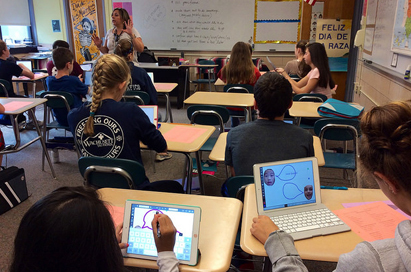 We can include Spanish lessons with native speakers tailored to your students level and ability. Lessons can be split over a number of days to balance with other visits and excursions.